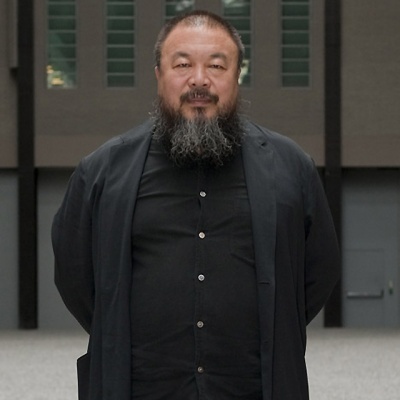 Ai Weiwei (Chinese: 艾未未; pinyin: Ài Wèiwèi, About this sound English pronunciation (help·info); born 28 August 1957 in Beijing) is a Chinese contemporary artist and activist. His father's (Ai Qing) original surname was written Jiang (蔣). Ai collaborated with Swiss architects Herzog & de Meuron as the artistic consultant on the Beijing National Stadium for the 2008 Summer Olympics. As a political activist, he has been highly and openly critical of the Chinese Government's stance on democracy and human rights. He has investigated government corruption and cover-ups, in particular the Sichuan schools corruption scandal following the collapse of so-called "tofu-dreg schools" in the 2008 Sichuan earthquake. In 2011, following his arrest at Beijing Capital International Airport on 3 April, he was held for 81 days without any official charges being filed; officials alluded to their allegations of "economic crimes". Since being allowed to leave China in 2015, he has been living in Berlin, Germany with his family, working on installations, and traveling extensively.